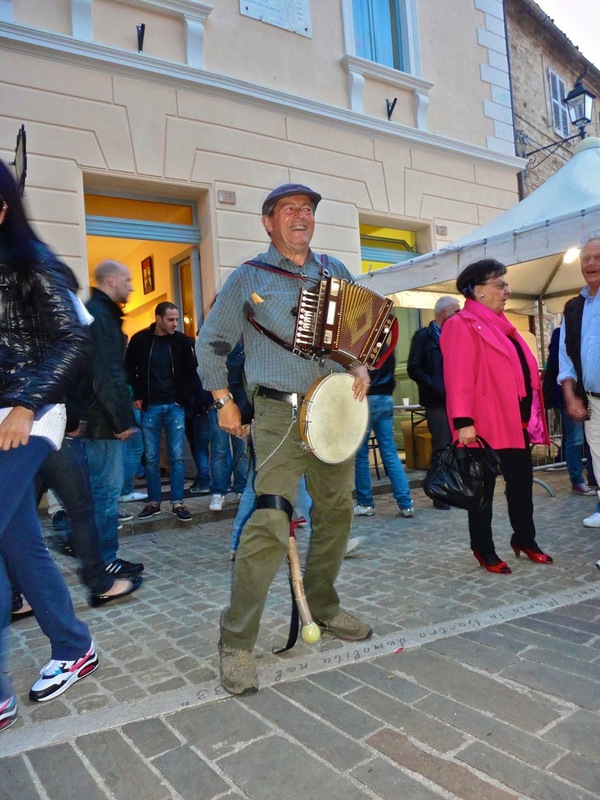 One of the many, and I mean MANY, festivals you will find going on in Italy during the summer is in Moresco which is in the La Marche region of Italy in the hills overlooking the Aso Valley and the Adriatic coast. In terms of scenery, this part of Italy is hard to beat. One strange fact about Moresco is that it is home to one of the only seven sided medieval towers in Europe. We were lucky to have been able to visit during this time of year, the Folkloristico Festival was fun and interesting to see. 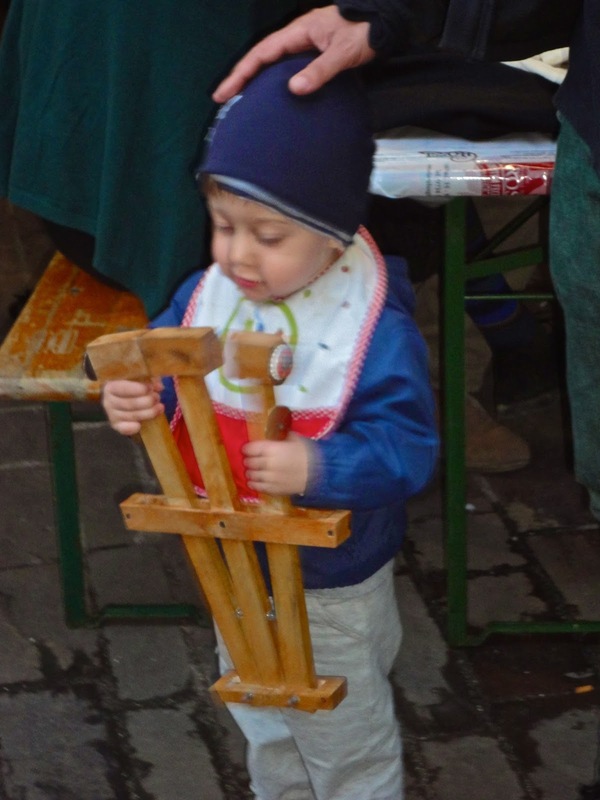 I love how this festival was more of a community gathering or almost what American’s would call a “block party.” Since the town of Moresco is a very old Medieval town, the way it is built, everything is connected. There are apartments all around the square and during they day you would see people opening and closing their shutters depending on the weather. We weren’t so lucky in the fact that this was the wettest start to a summer Italy has seen in a long time so we did have to wait out a rain shower here and there. Another couple of interesting facts about Moresco is that it has a heptagonal shaped watch tower and is home to frescos (Seen Below) by the famous Italian painter Vincenzo Pagani, which we were told is worth tens of millions of dollars. The tower (seen above) is strange in the odd number of sides that it has but from the top of the tower that rises 25 meters, you can get an amazing view of the Aso Valley, Pedaso and on a clear day you can even see the coast of Albania which is approximately 70 km away. 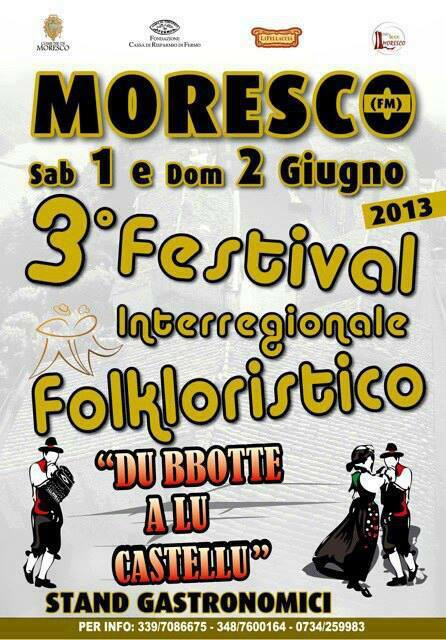 The folkloristico festival is all about the way it used to be in Moresco. 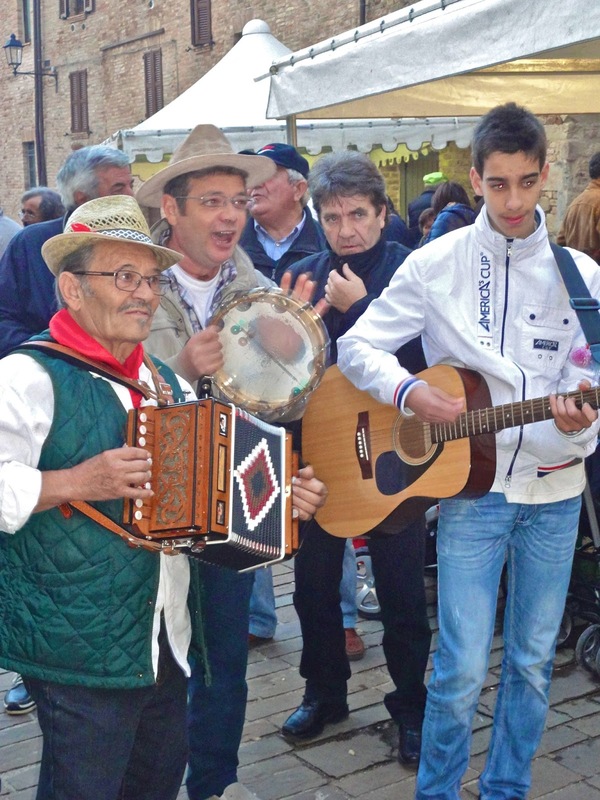 There are a few people who dress in the traditional Italian costumes, they sing and dance to old songs in Dialect. There are about close to thirty people in different groups playing the accordion and another with the a tambourine. I fell in love with an older lady who sang and danced for the entire time we were there which had to be close to 6 hours. I hope when I’m her age I have as much energy. You see her pictured below and I’ll post the video as well. There are big reasons for coming to Italy which everyone knows and dreams about but I have learned that in Italy there are more reasons NOT to go to the over crowded, over priced and often over romanticised tourist traps. While I too went to or will go to Rome, Florence, Milan and Venice, I have found that some of the most beautiful sights have been in the small medieval towns. I learned that the only place to find Italians, is to go where the tourists aren’t. Rent a car and drive away from these cities and after an hour the first B&B you find, stop there and you will find your heaven. Festivals go on in every town all across Italy all it takes is a bit of luck and adventure. Growing up and learning about how civilization got it’s start in Italy somehow makes it very romantic in but in reality the real beauty of Italy is in the homes of Italians, in the kitchens, in the bar’s and in the center of town during these festivals. The heart of Italy beats strong off the beaten path. 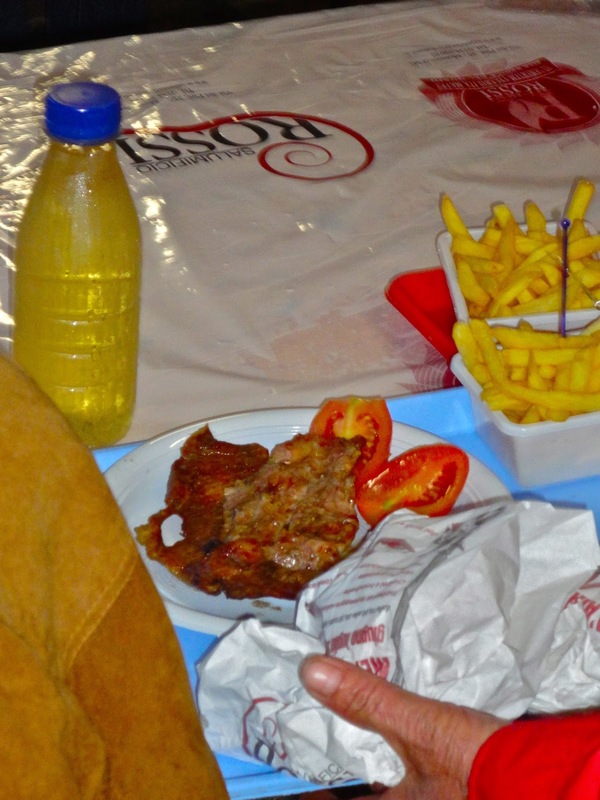 The prices of food and drinks outside the tourist traps are cheap to reasonable. 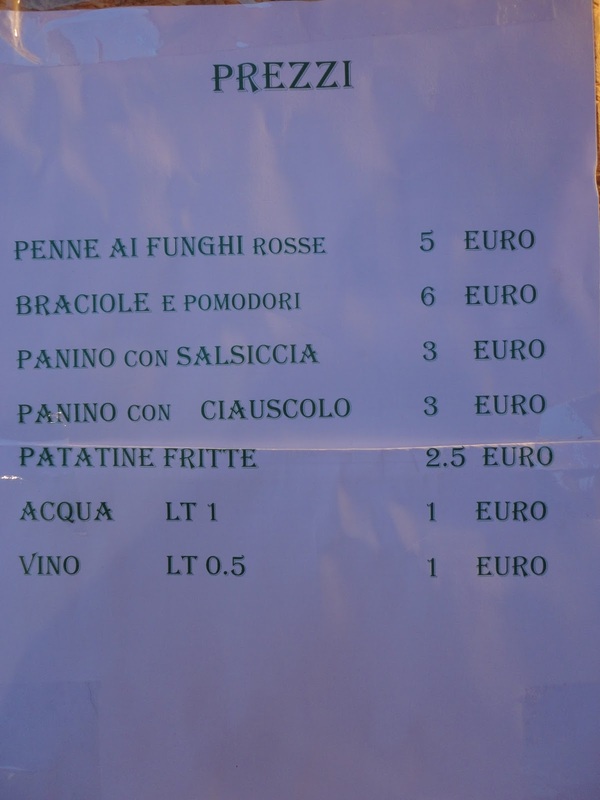 You can get a liter of very good wine from 2 to 4 Euro’s and rarely pay more than 2 Euro for a slice of truly Italian pizza which is very filling. But don’t stop at just the pizza because they have a pork sandwich called “porchetta” that will make your mouth water with every bite. There isn’t anything anyone should be afraid to try in Italy, they aren’t very adventurous with spices except for basil, rosemary and olive oil which you will find on most everything. So don’t be scared, go off and explore and learn what real Italy is all about. 6HLw77 Looking forward to reading more. Great article. i7UBKG This is a topic which is close to my heart Best wishes! Where are your contact details though?